For some, it means shopping, eating, and grooming so meticulously that you only produce one jar of trash a year! For others, it means creating a conscious mindset that allows you to think twice before you pull out your wallet. No matter where you fall on the spectrum, you’re clearly interested in making better choices for you, your home, and our planet—or else you wouldn’t be reading this right now. And that’s already a massive step in the right direction! We were taught to believe that there’s only one way of doing things. In fact, most of us were raised with the mindset that our resources here on Earth are endless. The population is growing, our climate continues to get warmer, and our oceans are more polluted than ever. There’s simply no time left for us to keep those blinders on! Sustainable living doesn’t have to be a pain, and it doesn’t mean you have to go without. You can still enjoy all of life’s most important details, but you can do so in a way that will leave a legacy of love, not destruction. If you’re ready to simplify your life while helping to preserve our precious resources here on Earth, you’re going to want to consider these easy life swaps that will make sustainable living a breeze. Do you know how many terrifying products you have lurking underneath your kitchen sink? From bleach to oven cleaner, just imagine the smell and how it feels when one of these chemical-laden products accidentally gets on your skin. Now, think about what those chemicals are doing to your lungs and our environment! If you can smell your ‘clean’ house from a mile away, it’s probably time to ditch those abrasive cleaning products. Instead, you can create a DIY solution in less than 3 minutes and for a quarter of the price! Grab a spray bottle and fill it with one part white vinegar and four parts water. Add about 15 drops of tea tree essential oil and you’re done! Now you have an all-purpose cleaner that is tough on muck and easy on your health...and our environment. As a society, we can recycle and aim to be #zerowaste, but until we acknowledge the elephant—er cow—in the room, we’ll never truly get a handle on sustainability for our planet. Between greenhouse gas emissions and land use, the meat and dairy industry takes one of the most significant tolls on our environment. And while switching to an all vegan diet might not be the right lifestyle choice for you, there are more than enough creative recipes out there that will help you transform Meatless Mondays into your new favorite day of the week! From veggie burgers to quinoa stir-frys, the options are endless. Who knows, Meatless Monday might even spread out to Tuesday and Wednesday! Bulk is better! No, I’m not talking about Costco. I’m talking about the package-free zone at your local supermarket. 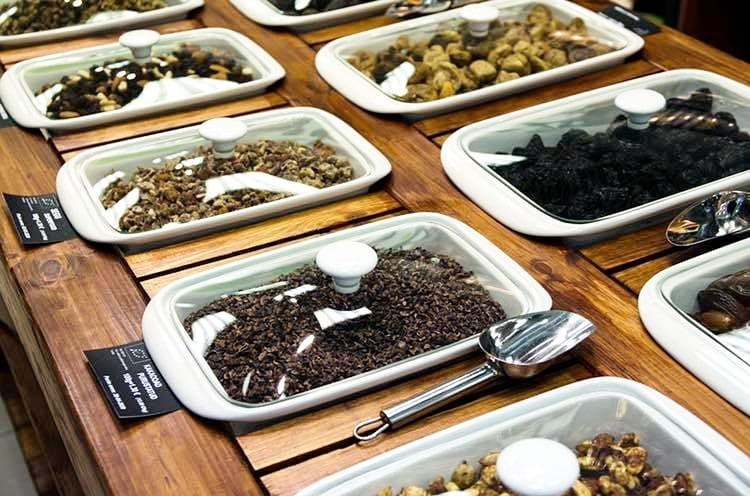 Instead of buying nuts, raisins, grains, and oats in single-use plastic packaging, the bulk area allows you to bring your own bag or container and pay by the pound. Not only is shopping this way cheaper, but it’s also way better for our planet. Those bags, plastic bins, and wrappers just end up in the trash. And when you’re making weekly purchases of the same items, it’s easy to see how quickly this can add up. Single-use plastic straws need no introduction. They end up in our oceans and on our beaches, and they’re absolutely detrimental to the sea creatures that dwell there. The ban on single-use plastic straws swept the nation last year, but if you’re a serial sipper, you may be wondering how you can enjoy a cool beverage without the use of one. Lucky for you, there are so many possibilities! There are metal and collapsible straws that you can store at the bottom of your bag. There are bamboo and paper straws that you can keep in the kitchen sink. There are hay, silicone, and even glass options for you to choose from! There’s simply no more excuse for nearly 500,000,000 single-use plastic straws in our world. There are sustainable tools for everyone. As it turns out, storing leftovers can be a sustainable endeavor! When you ditch the plastic wrap, you’ll find that there are many alternatives for oh-so-green food storage. If you want to cover a bowl or pot, try Bee’s Wrap! 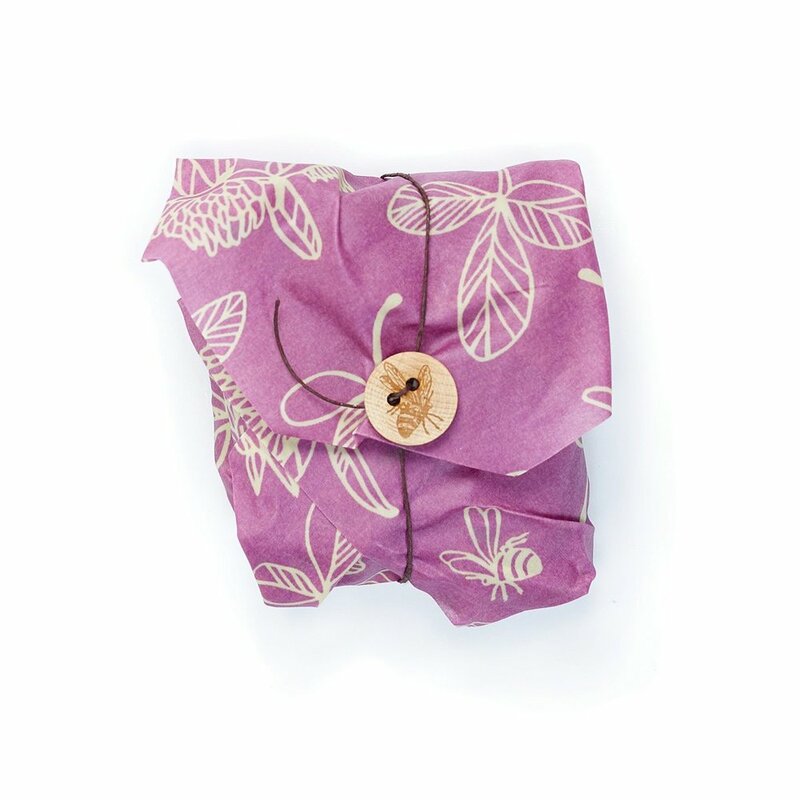 Made from organic cotton, beeswax, organic jojoba oil, and tree resin, this washable wrap is reusable and compostable. Would you prefer a more concise option for your lunchtime nosh session? You’ll love an ECOlunchbox! These stainless steel lunch boxes come in different sizes to go along with all your seasons of life. From the gym to your work cafeteria and back again, you can stack them and reuse them time and time again. When they’re free from plastic, there’s no wrong choice! Remember what I said earlier about growing up believing that there’s only one way of doing things? Well, the feminine hygiene industry does a wonderful job of instilling this into the minds of young girls as they grow into adulthood. Every year, it's estimated that over 45 billion period products (tampons, pads, and plastic applicators) end up in the trash. Can you even comprehend how much waste that is? Made from medical grade silicone and easy to clean, most menstrual cups can be used for at least one year! Not only are menstrual cups a saving grace for our environment and landfills, but they’re also amazing products for women in developing countries who don’t have access to single-use feminine hygiene products. Whether you’re headed to a BBQ or a fast food joint, just say ‘no’ to single-use plastic cutlery! Considering that nearly 90% of plastic in our oceans comes from single-use items, we all know where that seemingly harmless piece of plastic is going to end up. Making the switch has never been easier! When you make a $20 donation to Big Blue & You, you’ll receive a free set of To-Go Ware reusable bamboo utensils so that you can dine on delicious treats while doing good by our planet. Be green on the go with ultra-durable, renewable, and sustainable cutlery! Hey, Betty Crocker! Those cookies are sweet, but did you know that your parchment paper can’t be recycled? That’s because most parchment paper is covered with a latex coating, making it extremely difficult for it to be recycled appropriately. If your baking endeavors are above all else, you can still throw down with silicone mats. For less than $10 you can buy a silicone mat that will last you for years and years to come. From cookies to scones, you won’t miss that old parchment paper one bit. Benzyl acetate, benzyl alcohol, limonene, and acetone—that doesn’t sound like the stuff laundry dreams are made of. And get this, those are only the ingredients we actually know about! Some laundry sheets are even more harmful than household cleaning products. When they’re not battling your endocrine system, these polyester sheets are polluting our landfills and water systems. Simple as it may sound, you can do just as good of a job (or even better) keeping your clothes smelling fresh by using some dryer balls and a few drops of your favorite essential oil. You’ll save money each month, and your body (and our planet) will thank you! So much of creating a sustainable life starts with a mindset shift. When it comes to what we think we need, how we think we should live, or what we think we should buy, sometimes we could all use a little bit less. From our shopping spree habits to our knee-jerk reaction to jump at every sale we see at the store, it takes time and a lot of effort to live simply...at first. Before you know it, you’ll be saving your health, our planet, and your wallet with the conscious decisions you make each day. Ignorance cannot be bliss because there’s nothing more peaceful than knowing you are in control of every decision you make. So, instead of living the way you’ve been told, swap it out for a new mindset!